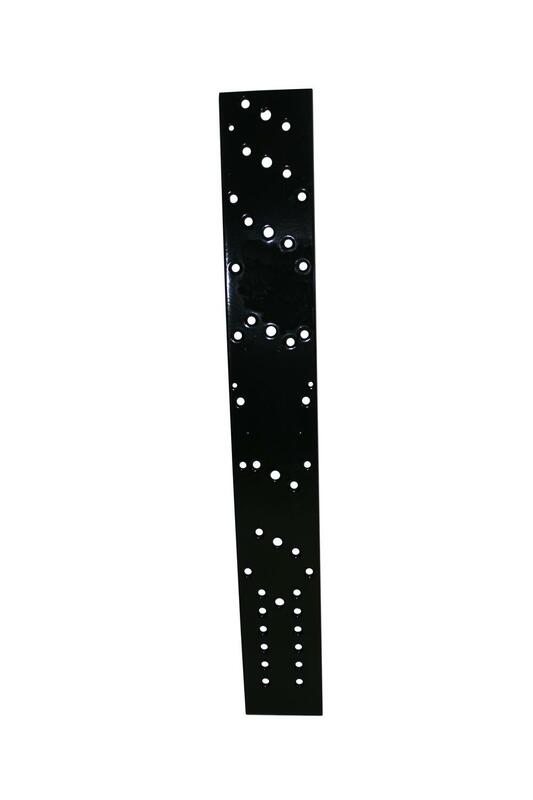 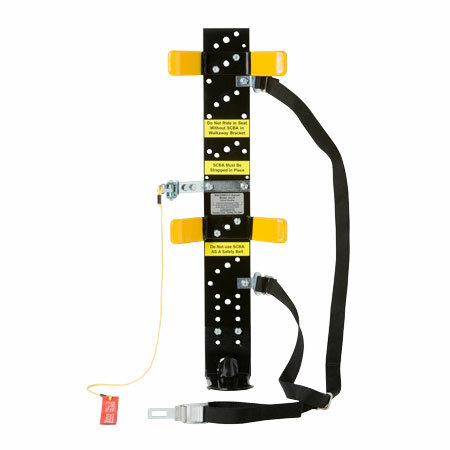 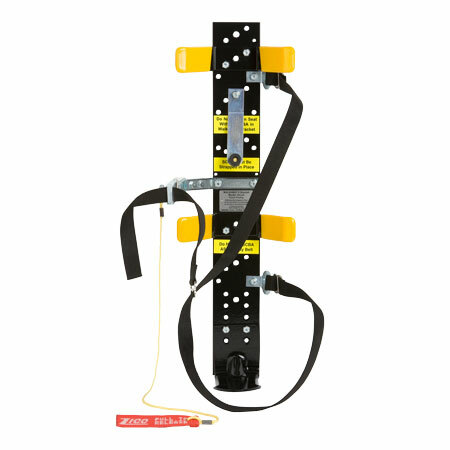 The EZ-OUT is an upgraded version of the Load & Lock SCBA Bracket, designed to provide a more secure fit around the air pack and an easier to locate pull release. 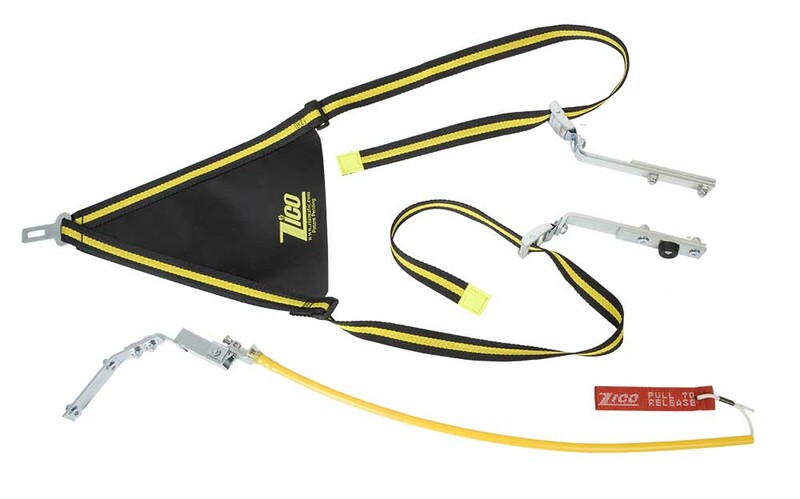 An upgraded triangular strap and adjustment buckles combine for an easily-created secure fit around the SCBA harness, preventing snags and providing a smoother release every time. 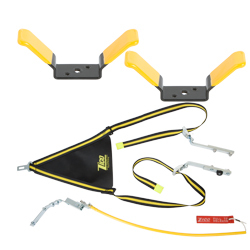 The addition of a firm, plastic stalk around the pull release lanyard holds it rigidly in place, away from the seat, making it easier to locate in a hurry. 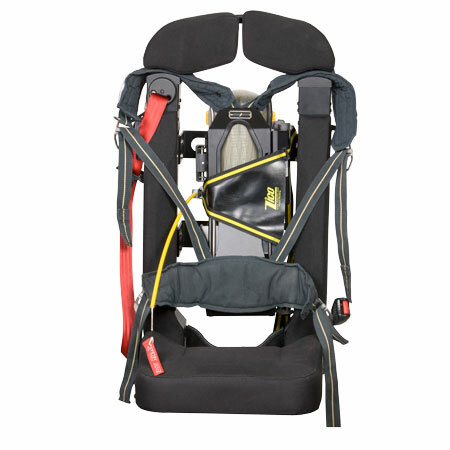 The simplistic design accommodates many different brands and styles of SCBA with minimal or no set-up change. 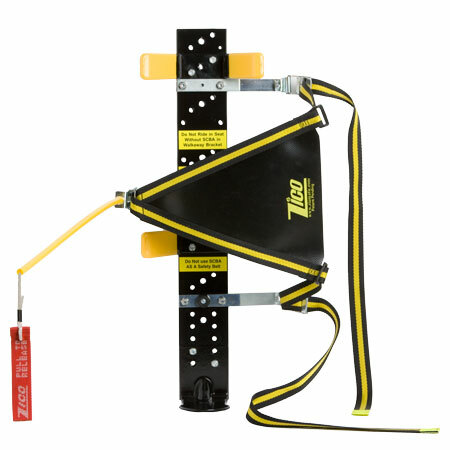 The standard EZ-OUT can handle 30 and 45-minute cylinders. 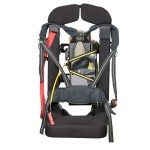 Donning the SCBA is fast and easy. 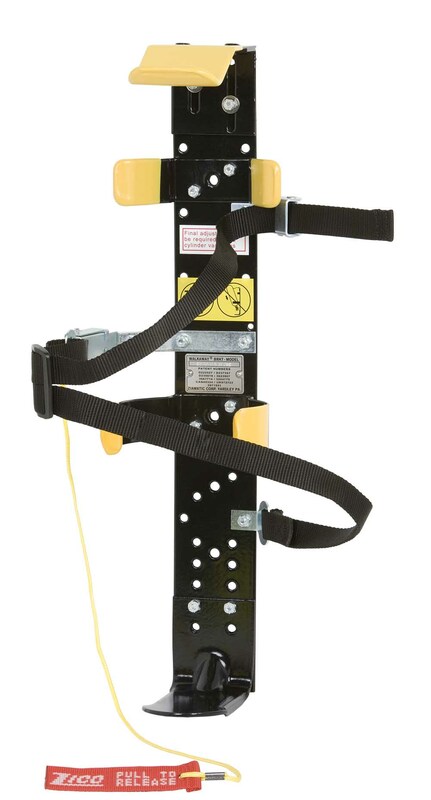 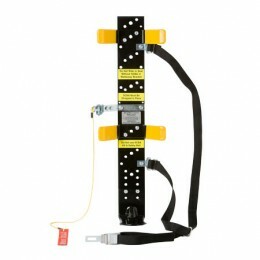 Simply slip into the harness, pull the lanyard straight out, lean forward, and stand up. 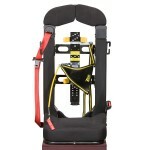 To secure the cylinder, place the SCBA against the seat with the valve resting in the footplate, then wrap the triangular strap around the SCBA and lock it into place. 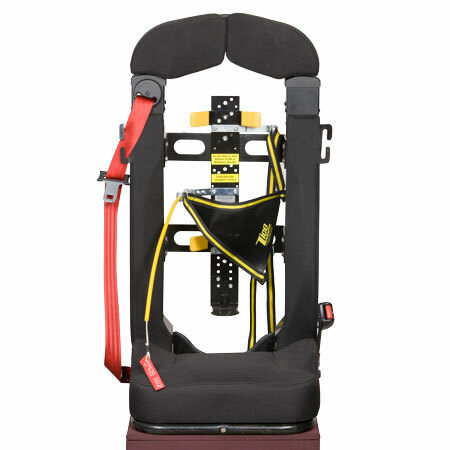 The backplate, footplate, and SCBA seats are thermoplastic-coated steel for years of trouble-free service. 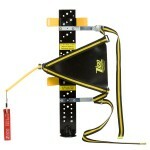 NFPA compliant and third party tested to exceed the 11G standard. 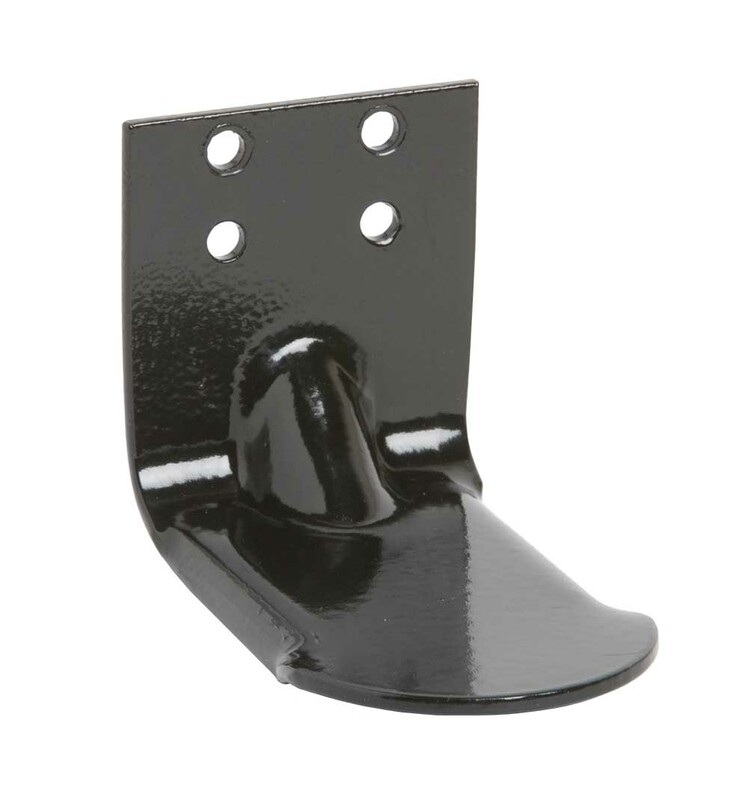 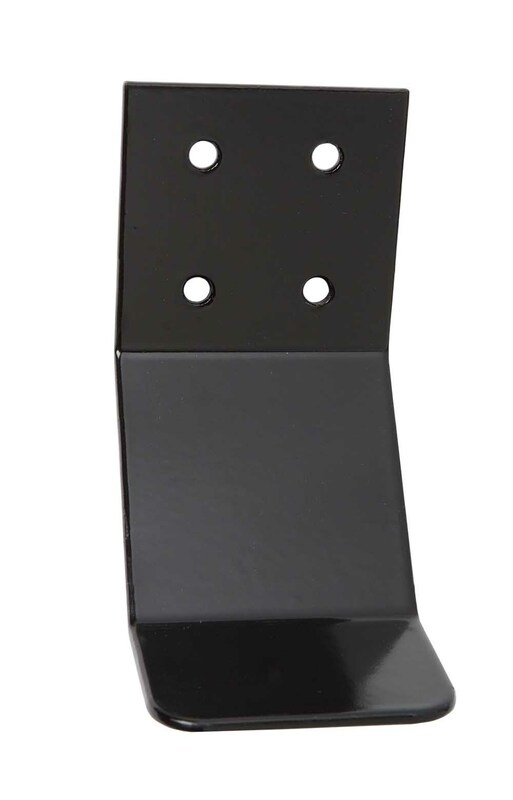 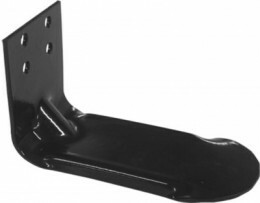 To upgrade an already in service Load & Lock Bracket, request Model EZO.